Note : Ensure that the ejection pin is perpendicular to the hole. 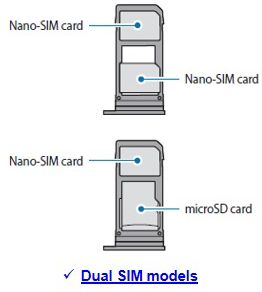 Use caution not to lose or let others use the SIM or USIM card. 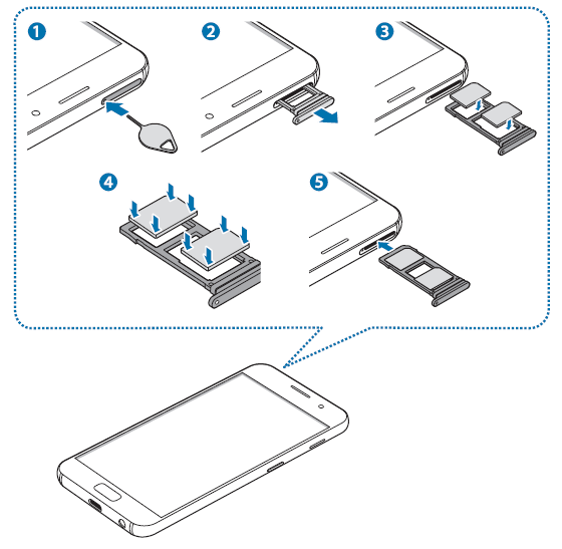 3 Place the SIM or USIM card on the tray with the gold-coloured contacts facing downwards. 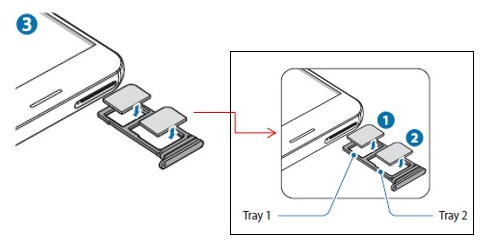 Place the primary SIM or USIM card on the tray 1 ( 1 ) and the secondary SIM or USIM card on the tray 2 ( 2 ).